I did some early Halloween nails today with I Love Nail Polish, Ultra Chrome: Birefringence & China Glaze Fairy Dust. 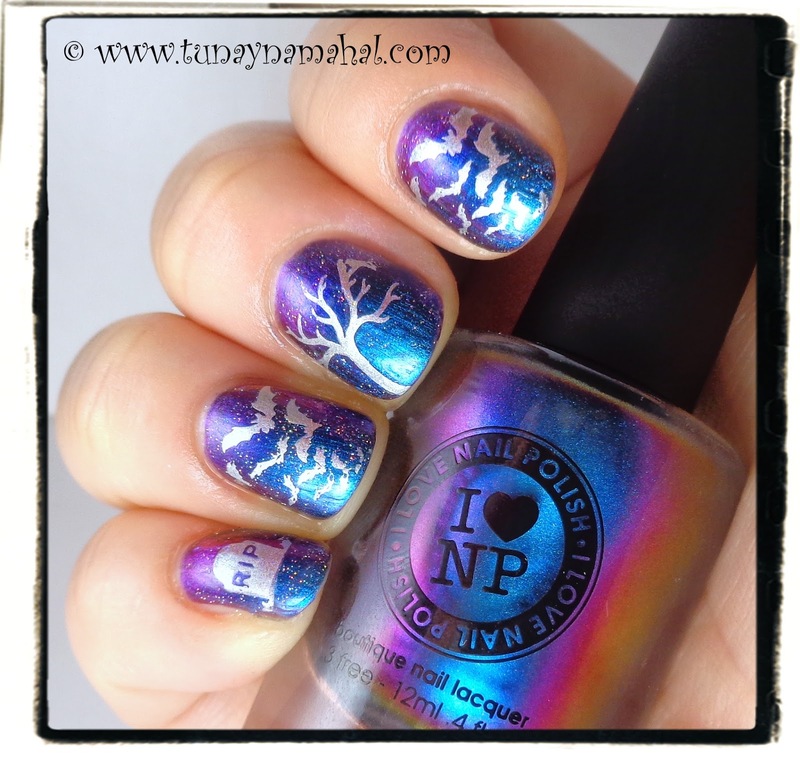 I stamped with Sally Hansen Insta-Dri in Silver Sweep and used Winstonia Store plates W116 & W102. I finished with a topcoat of Seche Vite. I absolutely love how these turned out! Birefringence changes so many colors at different angles, and the China Glaze Fairy Dust gives it sparkle. 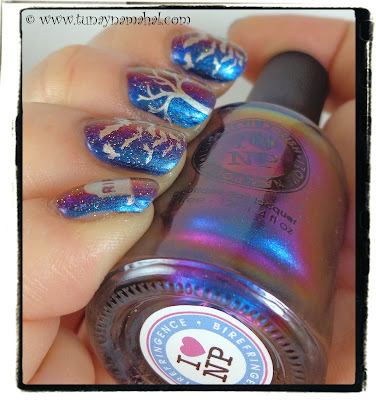 Click here to see my original swatch post of I Love Nail Polish Birefringence.